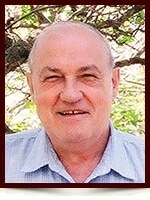 Harold Philippe Saulnier - Edmonton's Burial & Cremation Professionals | Trinity Funeral Home Ltd.
Phil passed away peacefully in his sleep on November 17, 2014 at the age of 79. He will be missed by his daughter Michelle. Phil was predeceased by his wife of 32 years, Ollie (1996), both parents, sisters Rachel and Lucy, brothers Emile, Omar and Benoit. Phil was born in Saulnierville, Nova Scotia on August 31, 1935. He served in the Canadian Military for 3 years before he started working for the Federal Government for 29 years with the weather office, sending satellite weather photos all over the world. He loved to play pool at the Legion and even won a few tournaments over the years. As well, he enjoyed playing chess and fishing. He was very skilled with building practically anything. Country music and lobsters were a couple of his favorite things. At his request, no funeral services will be held. An informal gathering will be held in the future.